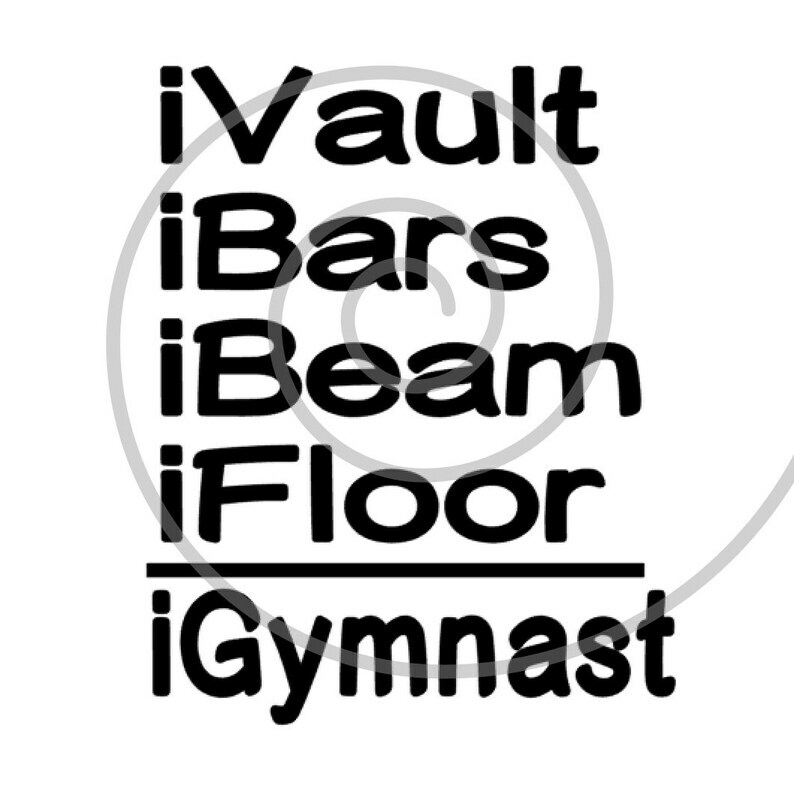 In the world of iPhones, and iPads... we have iGymnast! This listing is for a DIGITAL FILE that will be available for download upon purchase. The file you will receive will NOT have the watermark swirl on it. There will be no refunds due to the digital nature of the file. You will receive ONE DIGITAL FILE (.studio3) that will be a Silhouette Cut File to be used with a Silhouette Cutting Machine.This file can be used to cut vinyl or heat transfer vinyl (you will need to flip it horizontally should you want to cut heat transfer vinyl). You can feel free to resize it as needed. Feel free to make ones for family and friends but do not alter or sell the design in any way. Thanks! Love these! you can do so much with them, and make mini cloth nappies to match your real cloth nappies! my little girl loves playing with the ones ive made and im planning on giving a few to friends to spread the word about cloth! My preferred method of payment from buyers is thru PayPal. It is a safe and secure method of online payment. It is not necessary for you to have a PayPal account, and you can use your credit card for payment. Follow the step by step instructions on the PayPal site. Please make payment for your purchases within 24 hours. If you need longer please feel free to contact me and we can work something out. If you have any questions or problems with making payment please let me know so I can try to help! I will not give any refunds or exchanges on any patterns or custom-order items. I also do not give any refunds or exchanges on any items that were modified post sale at the customers direction as those are now considered a custom item. Those are all final sale. I will accept returns and/or exchanges on all non-custom-order items within 7 days of receipt unless you contact me and we make other arrangements. Before you return or exchange an item, please CONTACT ME FIRST. I will give you instructions as to how and where to ship the item to be returned. Customer pays for shipping to me in the event of a return or exchange as well as shipping of the new item back to themselves (in the event of an exchange). If you are dissatisfied with an item, please contact me by conversation through Etsy. I will do what I can to make sure the problem is resolved and you are happy with your purchase.